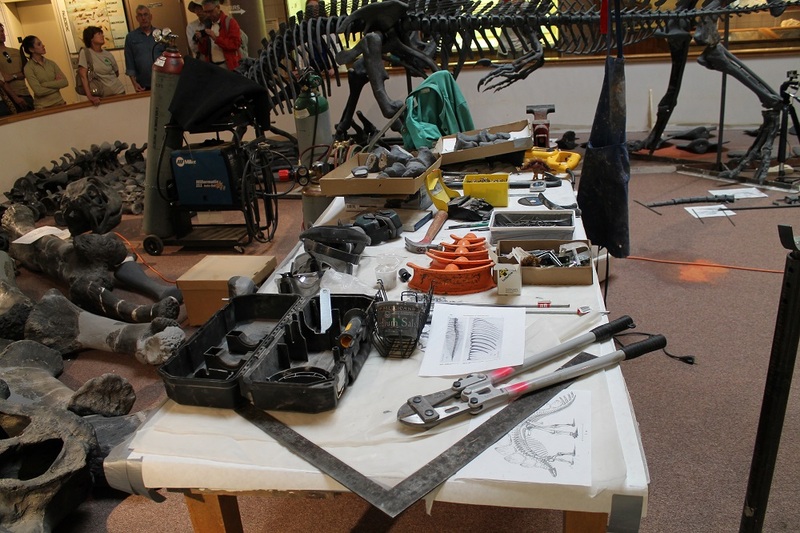 This past week, I had the fantastic opportunity to be a part of the Mid-Mesozoic Field Conference. I can’t possibly offer enough praise to conference leaders ReBecca Hunt-Foster, Jim Kirkland, and John Foster for pulling off this amazingly informative journey across the Colorado plateau. Unfortunately, since we live in a world where it’s a bad idea to post images of fossil localities, and it’s downright toolish to share details about unpublished research, I won’t be posting a ton about the conference right now. What I can share, however, are two stops we made that are especially relevant to this blog. The first is the Gaston Design workshop in Fruita, Colorado. 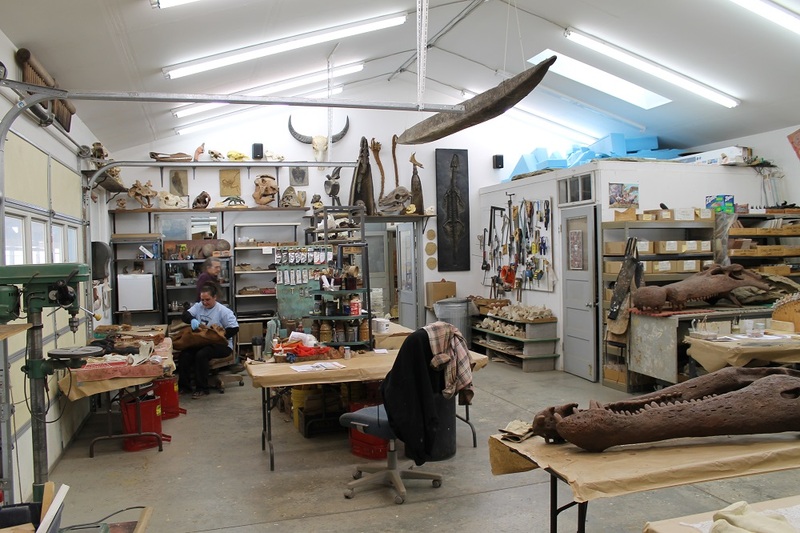 Rob Gaston and his team specialize in casting and sculpting fossil replicas, and their mounted skeletons are on display all over North America, but especially at younger museums in the western interior. 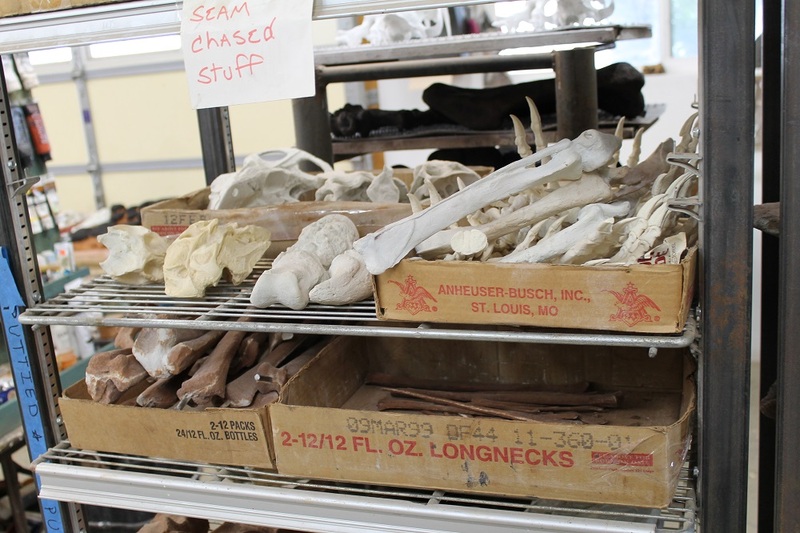 Gaston showed us how they mold, cast, and sculpt fossil replicas, a process that relies a great deal more on artistic and technical skill than fancy equipment. 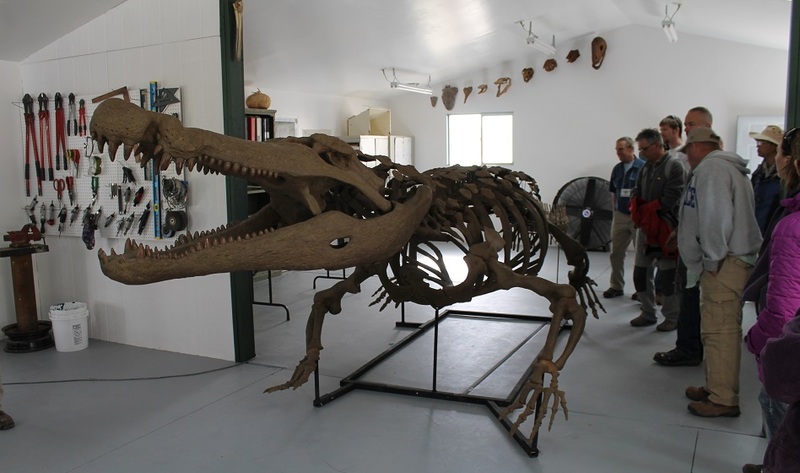 This second set of photos is from the College of Eastern Utah Prehistoric Museum in Price, Utah. 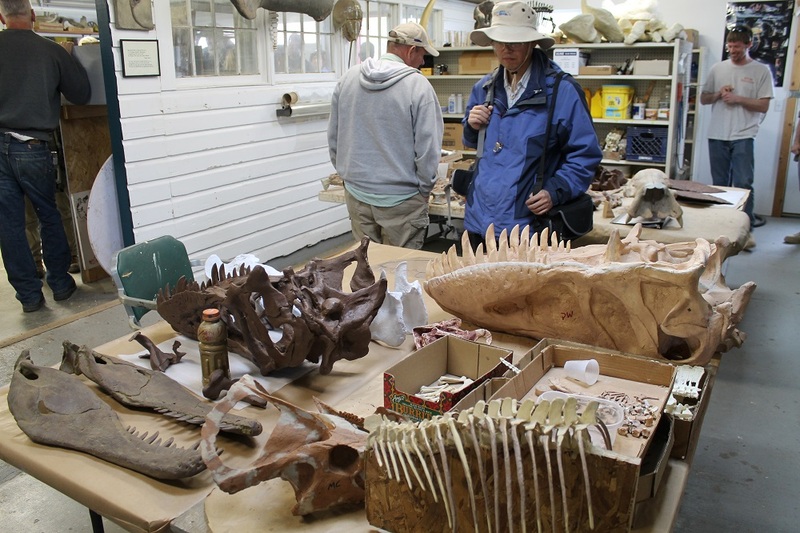 Ken Carpenter, the museum’s new director, has taken on the task of completely remounting the menagerie of Morrison dinosaurs in the center of the paleontology wing (some photos of the old mounts here). The original Allosaurus, Camptosaurus and Stegosaurus mounts from the late 1980s suffered from an unfortunate case of the tail-drags, and the Camarasaurus had previously been relegated to a death pose. 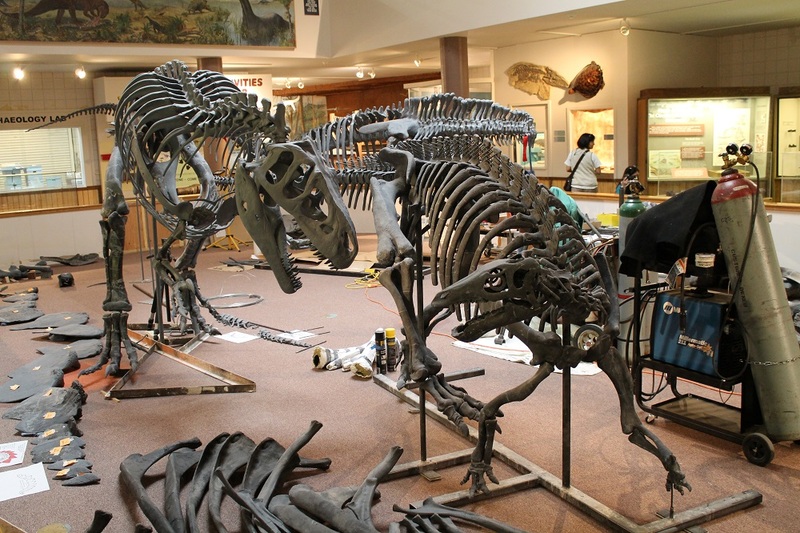 Carpenter’s new mounts, which combine original fossils with new and old reconstructed bones, are much livelier. The stated goal of the project is to encourage visitors to imagine what it would be like to encounter these animals in life. What’s really awesome, though, is that the mounts are being built right in the exhibit, so that visitors can see the progress and the tools and techniques used to build these displays. 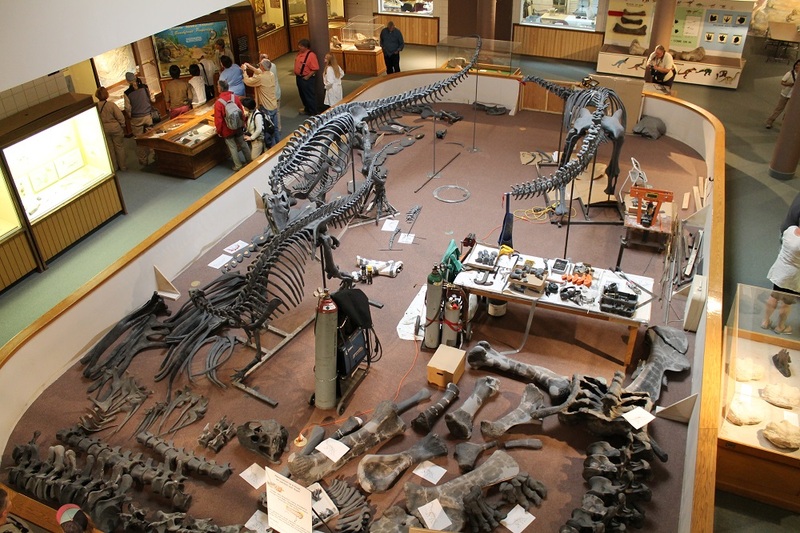 At present, Allosaurus and Camptosaurus are finished, work on Stegosaurus is underway, and the Camarasaurus skeleton is laid out in pieces. Sorry to post such a short tease of the awesome stuff we saw at the conference. My head is absolutely packed with information and ideas, so hopefully there will be opportunities to share more soon!